In the frame of the Visegrad Forum program, CEFRES is pleased to host in cooperation with the Center of French Civilization and Francophone Studies (coordinator: Nicolas Maslowski) of the University of Warsaw and the World History Department of the Faculty of Arts of Charles University (coordinator: Luďa Klusáková) French historian Laure Teulières from 24 to 28 April 2017! See the program in CEFRES agenda. 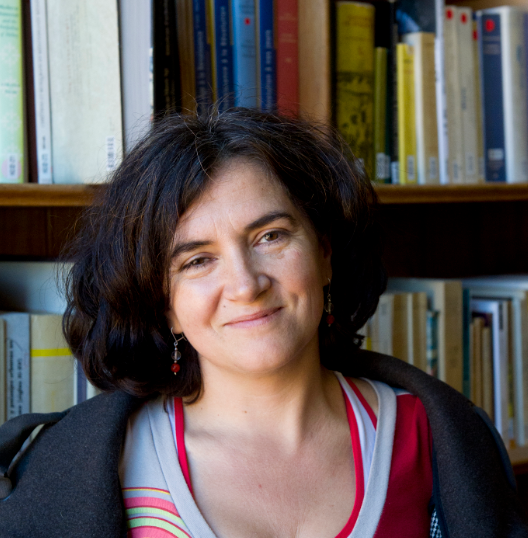 An assistant professor in modern history at Université Toulouse-Jean Jaurès, Laure Teulières is a specialist of Italian immigrants in France and has devoted her research to migration in terms of collective representations, commemorations, and the social construction of memory. Embedding her work in cultural history, her aim is to explore symbolical borders and the construction of the “foreigner”. She therefore abalyses the perception of otherness in its social, spatial (urban/rural), national, ethnical dimensions, and along various scales (national/regional/local). In the frame of the Visegrad Forum program, CEFRES is pleased to host in cooperation with the Institute of Polish Culture (coordinator: Paweł Rodak) and the Center of French Civilization and Francophone Studies (coordinator: Paul Gradvohl) of the University of Warsaw, the Institute of Czech Literature of the Czech Academy of Sciences (coordinator: Michael Wögerbauer) and the Department of history of the Pedagogical Faculty at Charles University (coordinator: Jiří Hnilica) French historian Roger Chartier from 16 to 19 May 2016 ! See the program on our calendar. Prof. Roger Chartier has been teaching the history of “Written and Cultures in Modern Europe” since 2007 at Collège de France. 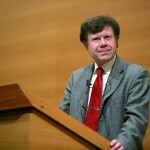 A scholar from EHESS from 1984, he has also been an Annenberg Visiting Professor at the University of Pennsylvania in Philadelphia since 2001. Alongside his outstanding research on the history of books, publishing and reading in early modern history, Prof. Chartier has also dedicated part of his work to epistemological questions in history. 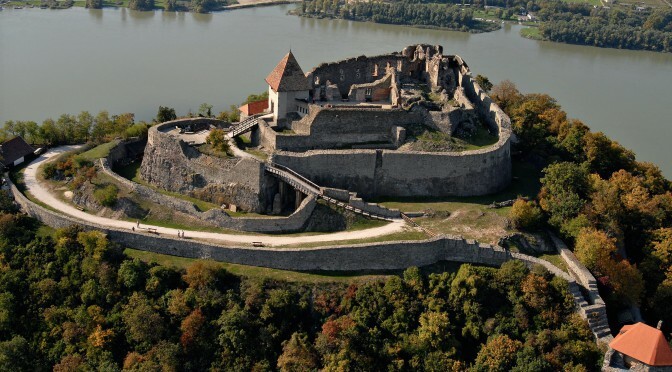 In the frame of the Visegrad Forum program, CEFRES is pleased to host in cooperation with the Department of South Slavonic and Balkan Studies of the Faculty of Arts of Charles University (coordinator: Libuše Valentová) and the Institute of World Literature of the Slovak Academy of Sciences (coordinator: Libuša Vajdová) sociologist Ioana Popa from 11 to 15 April 2016! Check the program on our calendar. Ioana Popa is a researcher at CNRS and a member of the Institut des Sciences sociales du politique (ISP, UMR 7220). Trained as a sociologist, she works on cultural and scientific circulations between East and West during the Cold War. Her book, Traduire sous contraintes. Littérature et communisme (1947-1989) [Translating Under Duress. Literature and Communism 1947-1989], published in 2010, intertwines several approaches—from the sociology of translation, to that of literature and of intellectuals. Ioana Popa is also part of the European project on “International Cooperation in the Social and Human Sciences: Comparative Historical Perspectives and Future Possibilities (INTERCO-SSH)”, in the frame of the 7th program of the European Commission (2013-2017). See her personal webpage here. Traduire sous contraintes. Littérature et communisme (1947-1989), Paris, CNRS Éditions (coll. Culture & Société), 2010. « Aires culturelles et recompositions (inter)disciplinaires. La 6e Section de l’ÉPHE et les études sur l’espace russe, soviétique et est-européen », Actes de la recherche en sciences sociales, no. 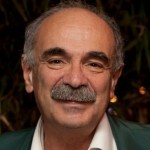 210, 2015, pp. 60-81. “‘Discreet Intermediaries’. Transnational Activities of the Fondation pour une entraide intellectuelle européenne 1966-1991”, in Simo Mikkonen and Pia Koivunen eds., Beyond the Divide : Entangled Histories of the Cold War Era Europe, New York, Berghahn, 2015, pp. 151-173. « Insoumission et art de publier », Genèses. Sciences sociales et histoire, no. 100-101, 2015, pp. 210-217. “A comparative and differentiated analysis of the East/West literary transfers during the Cold War”, in Larisa Schippel, Magda Jeanrenaud, Julia Richter (Hg. ), Rumänische Übersetzungsgeschichte – Prozesse, Produkte, Akteure, Frank und Timme (coll. TransÜD)/ Editura Universitatii Alexandru Ioan Cuza, Iaşi, 2014, pp. 61-76. « La circulation transnationale du livre : un instrument de la Guerre froide culturelle », Histoire@Politique. Politique, culture, société, no. 15, « Contribution à l’étude des circulations littéraires et scientifiques », Sept.-Dec. 2011. « De l’exportation officielle au transfert clandestin », dans Anne Dulphy, Robert Frank, Marie-Anne Matard-Bonucci, Pascal Ory (eds. ), Relations culturelles internationales au XXe siècle, Bruxelles, Peter Lang, 2010, pp. 277-290. Date and Venue: CEFRES, Na Florenci 3, 16th March, 2016. A young researcher workshop on “Neighbourhoods”, organized by Luďa Klusáková (Institute of World History of the Faculty of Arts of Charles University). All contributions will be discussed by Prof. Lydia Coudroy de Lille. 11:00 Mgr. Natallia Linitskaya, PhD candidate in the 4th year of study program: Between city and work shops: house, job and leisure in the tractor work shops neighborhood in Minsk, 1946-1960s. 12:00 Mgr. 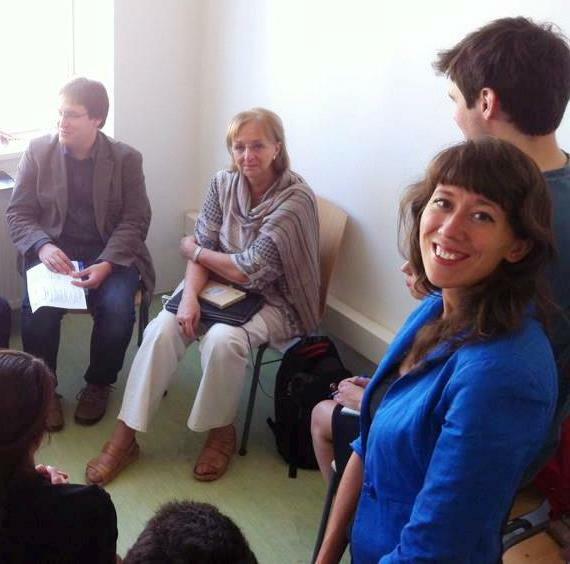 Tereza Horáčková, PhD student in the 1st year of study program: Les Vietnamiens à Prague : « SAPA » – un espace de cohésion socio-culturel et des économies informels. Prof. Luďa Klusáková: Urban district in the perspective from the TEMA network. Anna Pestova (TEMA MA 1st year): Gentrification projects Užupis (in Vilnius) and Kalamaja (in Tallinn). Stesha Sashnikova (TEMA MA 2nd year): Creation of new public places as an important direction of urban development of Petrograd district in the beginning of the 20th century. Sami Bayram (TEMA MA 2nd year): The Role of Public Institutions in the transformation of Pera into a cultural district of Istanbul. In the frame of the Visegrad Forum program, CEFRES is pleased to host in cooperation with the Faculty of Arts of Charles University (coordinator: Luďa Klusáková) and the French-Hungarian Workshop of the Faculty of Arts of Loránd Eötvös University (coordinator: Gábor Sonkoly and Gábor Czoch) French geographer Lydia Coudroy de Lille from 14 to 17 March 2016! Pr. 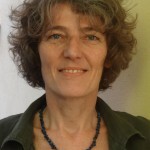 Lydia Coudroy de Lille is a geographer teaching Lumière-Lyon 2 University, a member of the CNRS research group “Environnement Ville Société”. 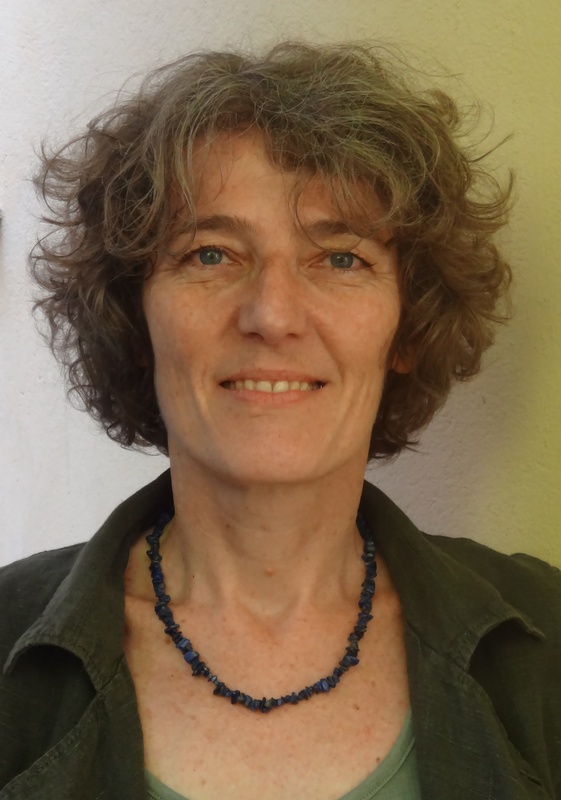 After studying history and geography at Ecole Normale Supérieure in Paris, she wrote her PhD dissertation at Saint-Etienne University then started to work at the Lyon 2 University in 1995 as a researcher and assistant professor. Since 2012, she’s a member of CNRS Network Research Group “Connaissance de l’Europe médiane”, and to the CNRS International Network Research “Espace et réseaux urbains”. She also belongs to the German-French research network Saisir l’Europe/Europa als Herausforderung. 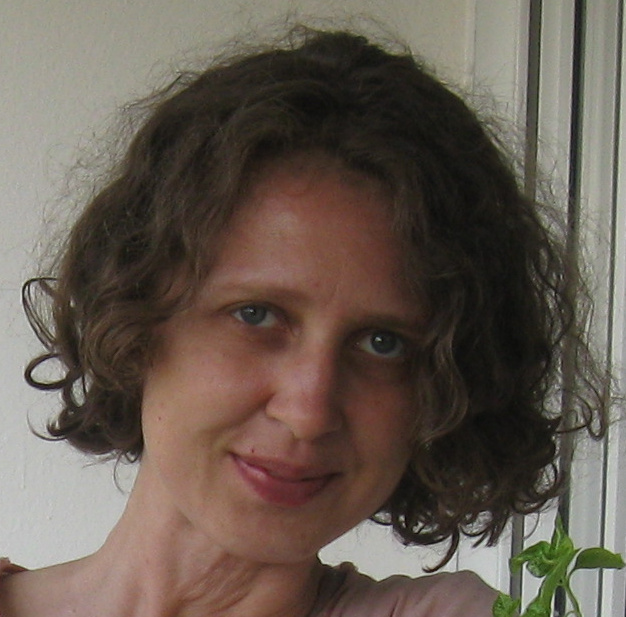 In 2015-16, she leads a research program on cooperatives and territorial development with the University of Zagreb. Her research deal with urban territories in Central Europe, challenged for the past quarter of century by post-socialist structural transformations, the EU integration and globalization. She questions the impacts of such factors on the dynamics of cities in a comparative approach, with a special interest for Poland. Questions pertaining to housing is at the core of such works, with special focus on historical factors behind the difficult rebuilding of a cooperative sector in Poland, and on the relationships between metropolization and real estate development. She also scrutinizes the action of the EU as the matrix of such urban transformations in Poland (policy of fighting against poverty, metropolitan strategies and territories, territorial reforms, urban renewal, Special Economic Zones). Such research questions past, present and future stakes for Europe from its central and Eastern parts. Albert A., Coudroy de Lille L., 2015, “Пути интернационализации европейской метрополии (на примере Лиона)” [The Paths of a European Metropolis Globalization: the Case of Lyon], in L. Rudenko (dir. ), ФУНКЦИИ ГОРОДОВ И ИХ ВЛИЯНИЕ НА ПРОСТРАНСТВО [Urban Fonctions urbaines and Their Spatial Consequences], Kiev, Fenix, pp. 60-73. Coudroy de Lille L., « Le logement en République populaire de Pologne : du “déficit” à la “crise” », Le Mouvement Social, vol. 4, n° 245, 2013, pp. 109-122. Also in English : Housing in the Polish People’s Republic: From “Deficit” to “Crisis”. DOI : 10.3917/lms.245.0109. In the frame of the Visegrad Forum program, CEFRES is pleased to host in cooperation with the Faculty of Humanities of Charles University (coordinator: Nicolas Maslowski), the Collegium Civitas in Warsaw, and the Center of French Civilization and Francophone Studies of the University of Warsaw (coordinateur: Paul Gradvohl) French sociologist Michel Wieviorka from 24 to 26 February 2016! 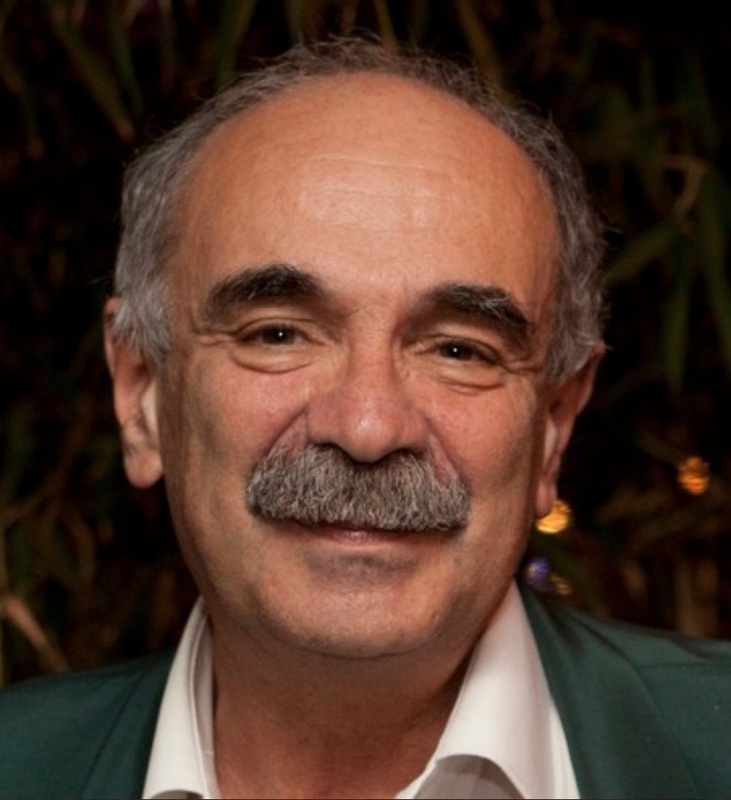 Since 2009 the head of Fondation Maison des sciences de l’homme, Michel Wieviorka was the chairman of the International Association of Sociologie AIS/ISA from 2006 to 2010 and led between 2003 and 2009 the Centre of sociological analysis and intervention (CADIS) at EHESS. With Georges Balandier, he co-directed the periodical Cahiers Internationaux de Sociologie from 1991 to 2011. He is today in charge of the editorial collection “Le monde comme il va” (The World as It Goes) within Robert Laffont publishing house. 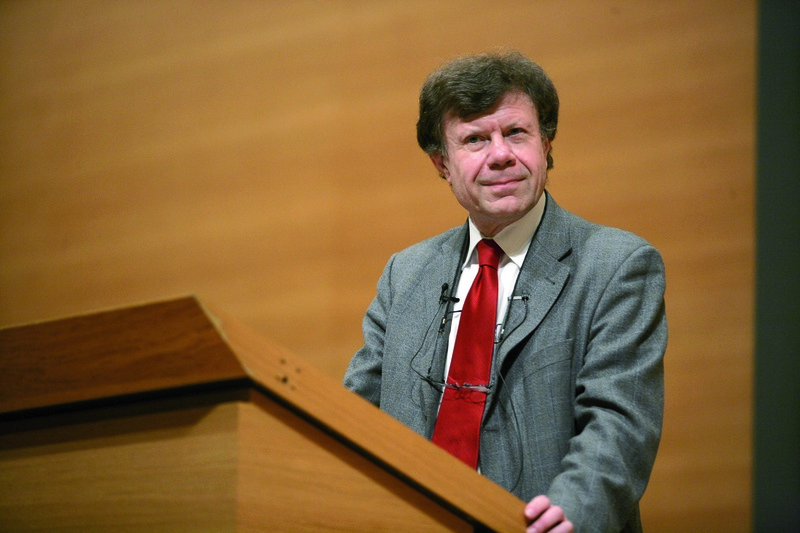 Advocating the taking into account of globalization and actors’ subjectivity in sociological research, Michel Wieviorka has developed a sociology of action since his first works on consumers’ movements in the 1970s (for instance, L’État le patronat et les consommateurs. Étude des mouvements de consommateurs, PUF, 1977) and on such phenomena as racism, violence and anti-Semitism (for instance, Les Juifs, la Pologne et Solidarność, Denoël, 1984; L’Antisémitisme, Balland,‎ 2005). His works on terrorrism (his book Sociétés et terrorisme, published by Fayard in 1988, won the special award from the Amalfi European jury in 1989), on multiculturalism and on globalization granted him international recognition. avec Maëlezig BIGI, Olivier COUSIN, Dominique MÉDA et Laetitia SIBAUD, Travailler au XXIe siècle. Des salariés en quête de reconnaissance, Paris, Robert Laffont, 2015.